Aging, weight fluctuations, or pregnancy often result in excess skin, stubborn pockets of fat, and loose or separated abdominal muscles. Tummy tuck surgery slims and restores youthfulness to the abdomen, creating beautiful abdominal contours and an attractive silhouette. While many patients only consider the procedure and the recovery period in their preparation, there are other things to keep in mind before your surgery date. Being near your ideal weight is an essential part of attaining desirable tummy tuck results. You don’t have to be at your exact goal weight, but you should be close, and it is important for two reasons. The first reason is that tummy tuck is not a weight loss surgery, and, while the overall appearance of your abdominal region will be significantly altered, the procedure itself will not cause you to lose many pounds. 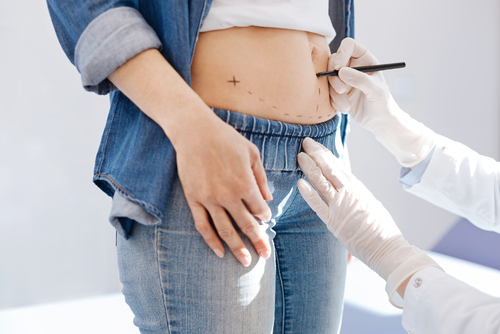 The second reason is that losing a substantial amount of weight after your tummy tuck may result in additional loose skin that can distract from the outcome of your procedure. Smoking is dangerous to many aspects of your health and can have disastrous effects during and after a surgical procedure. Smoking decreases blood flow, making it harder for surgical wounds to clot and heal. Individuals who smoke are also at a higher risk of complications like infection, heart attack, and stroke that extends past the surgery date. Dr. O’Toole recommends quitting four weeks before and after your tummy tuck. However, any amount of smoke-free time is beneficial. You will likely experience surgery-related discomfort during the initial days of your recovery. There will be some noticeable swelling and bruising, and movement of the core muscles will be limited. Because of this, it can be uncomfortable for patients to spend any of this time waiting in line to fill a prescription. Dr. O’Toole suggests that you get all of your medications before the day of your surgery so you can go straight home and already have the medicine there for you if needed. Much like filling prescriptions, it is a wise idea to have a designated recovery space prepared for you before your tummy tuck appointment. This space should be a comfortable, stress-free area that has easy access to everything you may require. While it is recommended to get on your feet and move as soon as possible, you cannot risk pushing yourself too hard or too fast, as this may affect the rate at which you heal as well as put you at risk for further complications. For additional information, or to set up a consultation, contact Dr. O’Toole by calling (626) 671-1756 or by filling out our online contact form. What Are the Most Beneficial Procedures for Men? How Do I Know If Something is Wrong with My Implants?